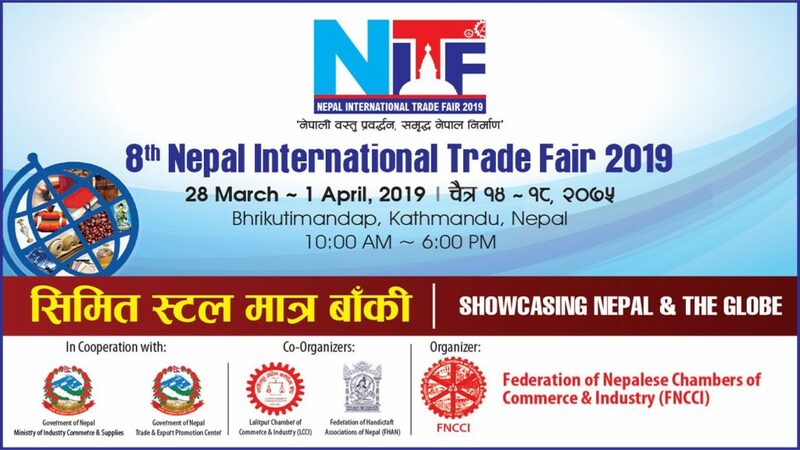 In a bid to improve the international market for Nepali products, the Himalayan nation is organizing the 8th Nepal International Trade Fair (NITF) in Bhrikutimandap from March 28 – April 1, 2019. The trade fair is organized by the Federation of Nepalese Chamber of Commerce and Industry (FNCCI) and co-organized by Lalitpur Chamber of Commerce & Industry and the Federation of Handicrafts Associations of Nepal. 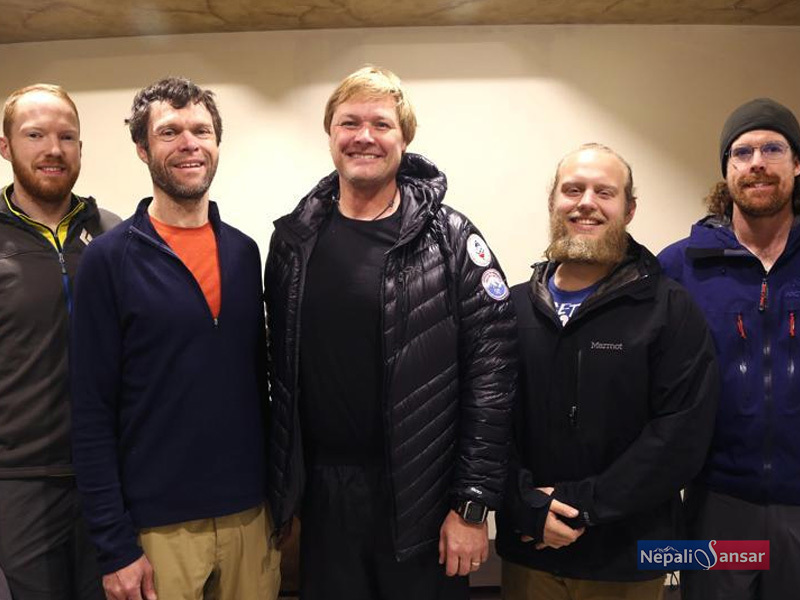 The Ministry of Industry, Commerce and Supplies (MoICS) is supporting the event while the Nepal Trade and Export Promotion Center will be promoting it. The five-day trade fair will bring together entrepreneurs and traders from South Asian countries Bangladesh, China, India and Pakistan. Products from the Nepal Trade Integrated Strategy – 2016 including domestic products such as ginger, Pashmina & tea and handicrafts items will be the main attractions of #NIFT2019. Besides, NITF will have 225 stalls showcasing other domestic and imported goods and services including agri products, education, energy, handicrafts, information technology and real estate among others. 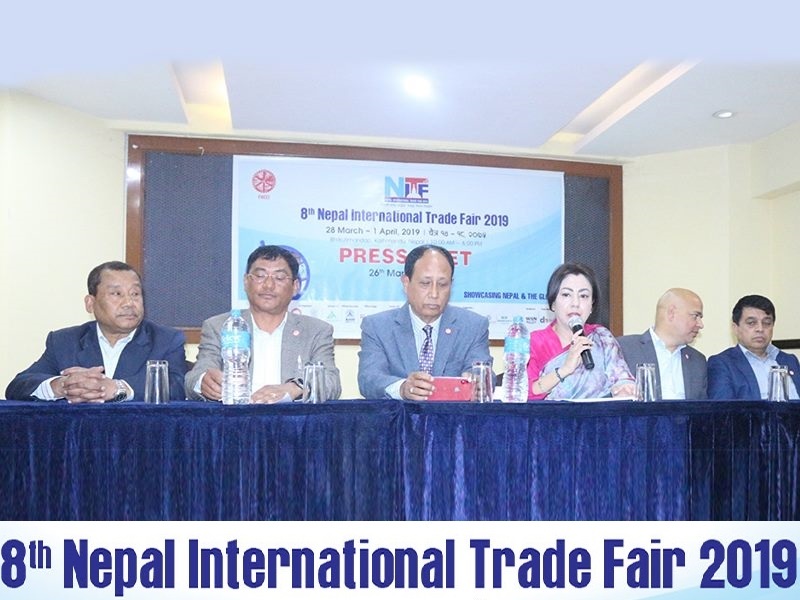 The trade fair is expected to receive foreign dignitaries participating in the Nepal Investment Summit 2019, which will further add value to the 8th NIFT. According to FNCCI President Bhawani Rana, several bilateral and multilateral meetings will be held with business delegates on the sidelines of the event. Additionally, discussions will also take place to identify means of promoting bilateral trade and investment. 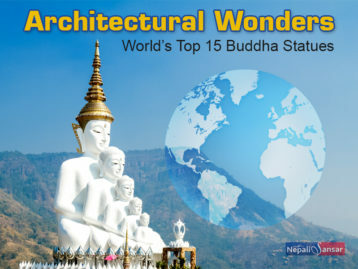 The Nepal International Trade Fair is expected to draw a footfall of 100,000 visitors from within the country and abroad. The 7th Nepal International Trade Fair was organized with the theme ‘Showcasing Nepal & The Globe’. The fair featured a total of 300 stalls with a majority from Nepal and China.